Taxicabs are not cheap. Most cabs roll about twelve hours every day, and when two drivers share the same taxi, it’s in service 24/7. Drivers have to make a living, and the companies they work for have to make a profit. It adds up. Limo companies and ride-sharing services like Uber and Lyft face similar expenses. Admittedly, rides home are not cheap, but they cost far less than rides to the jail, the hospital, or the morgue. If you’re arrested for DWI in California – even for a misdemeanor first offense – it’s going to cost you about $10,000 apart from any attorney’s fees. It’s an easy choice. Take the taxi. Of course, if you don’t heed the advice that’s everywhere, and you are arrested for DUI – or if you’re wrongly arrested and you’re innocent – contact an experienced Orange County DWI attorney immediately. When you’re charged with driving under the influence, your vehicle will be impounded, and you’ll pay a daily rate for storage. You haven’t even been arraigned – much less convicted – and the costs have already started piling up. 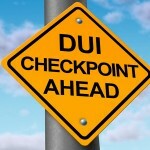 A conviction for DWI will dramatically increase your auto insurance rates. It costs a lot less to call a taxi one time than to be stuck riding in cabs everywhere you go because your license has been suspended. Bail will typically cost $150 to $2,500, depending on the details of your DWI case. If you have to borrow from a bail bondsman, you’ll a fee that’s ten percent of the bail amount. And if you’re convicted, you’ll pay fines, court costs, and a driver’s license “restoration” fee when your license suspension expires. You’ll also be ordered to attend DWI classes where you pay your own “tuition,” and of course transportation to and from the classes. The estimated total cost of a misdemeanor first offense DUI conviction is $10,000. So take the taxi. Still, if you are charged with DWI , it doesn’t mean that you’ll be convicted or that you’ll have to pay fines or attend classes. A DWI attorney will work hard on your behalf, and frequently in southern California, good DUI attorneys prevail on behalf of their clients. 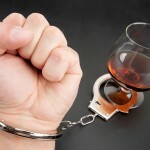 In Orange County, if you’re arrested for DUI, make the call at once to an experienced Orange County DWI attorney. 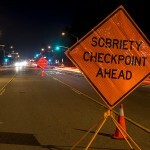 What Can You Do About DUI?